The main terrace is open 24/7, while the reception offering free internet access and a small library. 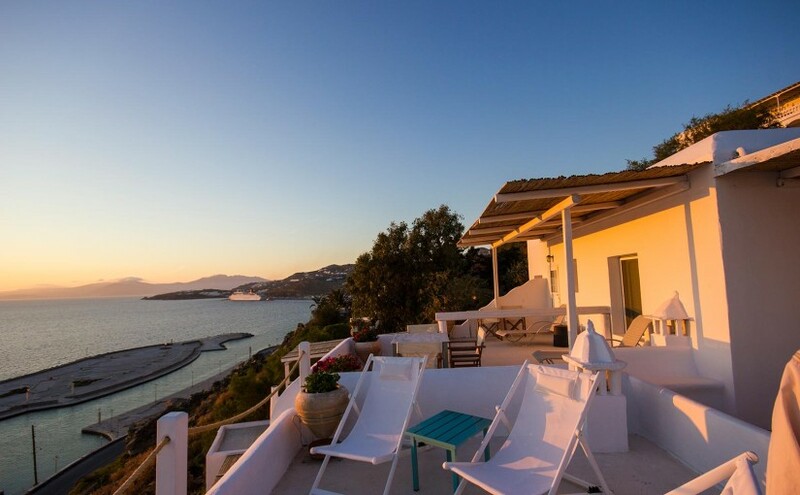 Panoramically situated on a small hill overlooking Mykonos Town (Chora), Villa Matina offers a beautiful sea view and a breathtaking sunset as well. 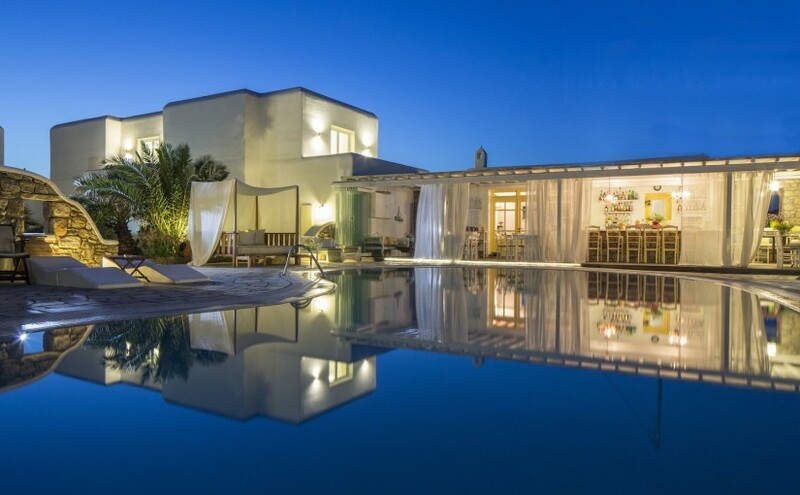 Supremely located just a small walk away from Mykonos Town and placed among restaurants, cafes and supermarkets, Villa Matina provides a strategic location that is central, yet quiet away from the bustling crowds of Mykonos downtown. Villa Matina hotel near Mykonos Town is a quiet all welcome property, ideal for all kind visitors, such as couples, families and groups of friends. Villa Matina offers a wide range of room types that include sea view accommodation, ideally to fulfill each unique need of every guest. The hotel’s 40 properties are consisted by standard rooms, spacious studios and luxury suites. The themed suites of Villa Matina hotel in Mykonos Island, feature a unique theme decoration and private balcony with beautiful views towards the swimming pool, the Aegean Sea or Mykonos countryside. 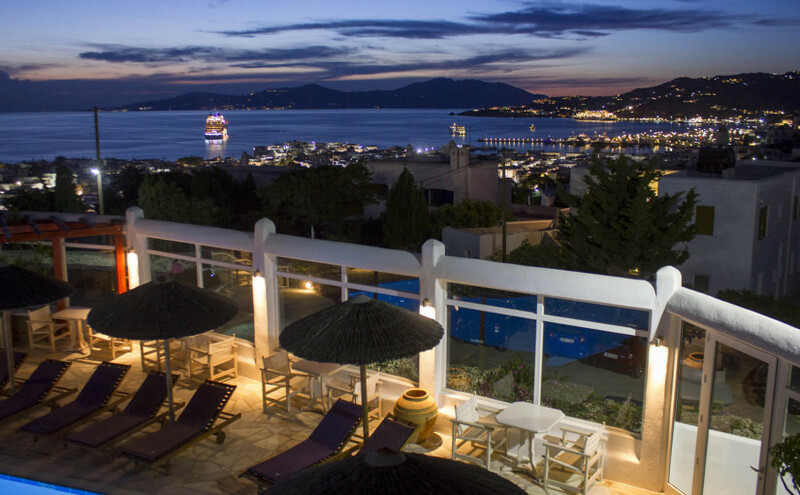 Furthermore, guests can enjoy a supreme sunset every evening from the hotel premises and rooms and a wonderful sea view as well. 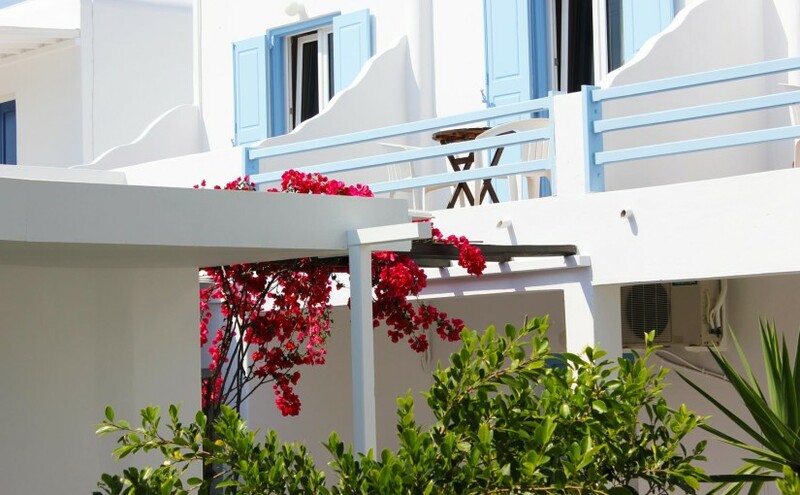 In just 2 Km from the center of Mykonos Town, ‘The A Hotel by Mykonos Arhontiko’ gives you a warm welcome to your most relaxing and carefree holidays! Inspired by the high aesthetics and hospitality of the traditional ‘Arhontika’ houses (old mansions), ‘The A Hotel by Mykonos Arhontiko’ offers ideal accommodation to all of its guests, always ensuring the highest level of services at a very reasonable cost. Design Suites, Cozy Rooms decorated according to local traditions, beautiful green gardens, great pool with an amazing view to the near-by bay and a wonderful Pool Bar & Restaurant with homemade tastes and delicacies are combined to create the most memorable holidays of your life! The hospitality experience of ‘The A Hotel by Mykonos Arhontiko’ is completed by the warm smile of the people of the hotel, who will make sure that you are offered the best service during your stay, always with love, care and exceptional professionalism. 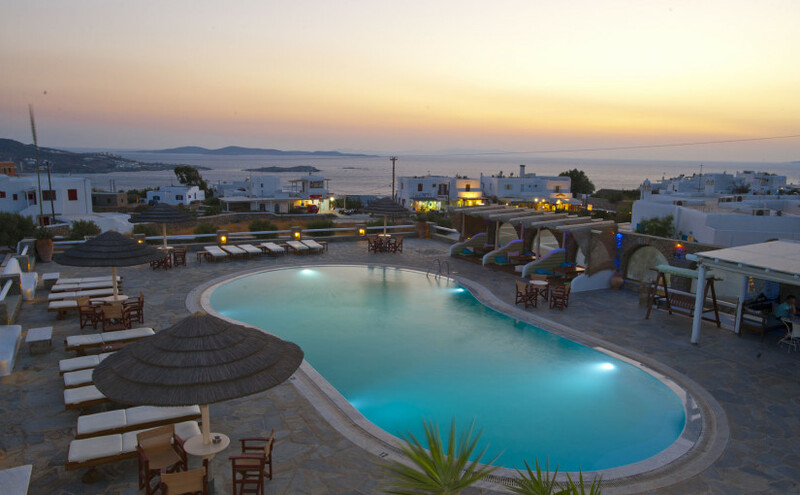 Sourmeli Garden is a Cycladic-style hotel lying in Mykonos Town, just 400 metres from its bustling downtown, 1.5km from Mykonos Airport and 800 metres from the port. Sourmeli Garden offers traditional rooms with rustic furnishings, large balconies or verandas, air conditioning, Wi-Fi internet, flat-screen TV, tea and coffee making facilities, refrigerator and hairdryer. The hotel offers free parking space and there is a café on-site. Strategically located within just a 5 minute walk away from Mykonos Town center, whilst situated ideally on a little quiet spot away from the bustling crowds and noise of Mykonos Town, Anastasios-Sevasti hotel in Mykonos Town, is a top choice hotel for accommodation among Mykonos Town hotels, as the hotel’s guests enjoy a privileged location, clean and comfortable rooms, free wi-fi, free parking on-site and a large swimming pool, while settled just a stone’s throw away from the main sights and attractions of Mykonos Town such as the Little Venice, the windmills and museums, as well as the world famous nightlife of Mykonos Town, shops and cozy café/bars and restaurants.